Eggplant. Either you love it or you’re not eating it right. And if the latter is true for you, then we’re going to try something new today, friend. 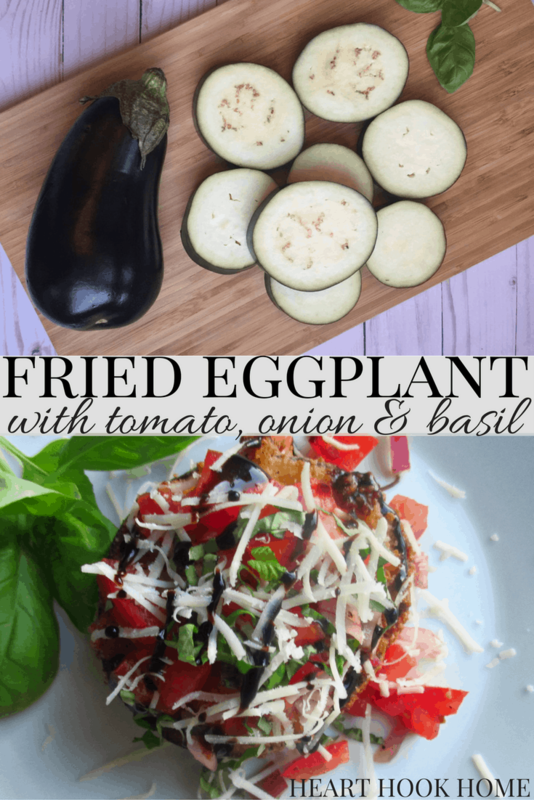 Eggplant is inexpensive and according to Medical News Today, it may protect heart health, improve blood flow to the brain and it gives you 10% of your daily fiber needs. And then there’s this delicious new recipe. Give this one a go, the crisp breading and pop of flavor from the tomato and onion mixture is, well, fantastic. Pick up eggplants when they’re on sale and chow down! First, you’ll slice your eggplant into 1/2″ slices while heating up your cooking oil. In medium sized bowl, mix together flour, Italian Seasoning, seasoned salt and panko. In a second bowl pour your buttermilk. Dip eggplant slices into buttermilk, then dip in panko/flour mixture and carefully place in pan to fry. When one side gets golden brown, gently flip to brown the second side. 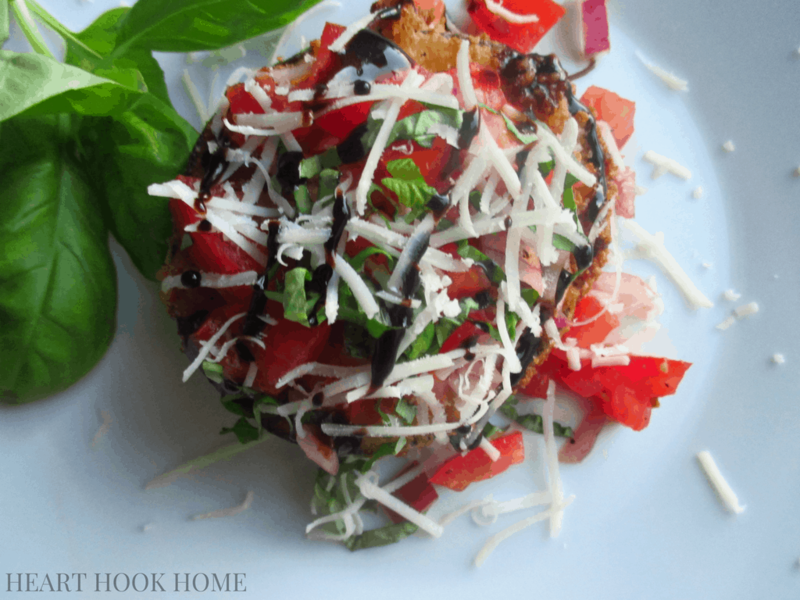 While cooking the eggplant, you’ll want to dice your fresh tomatoes and fresh red onion. 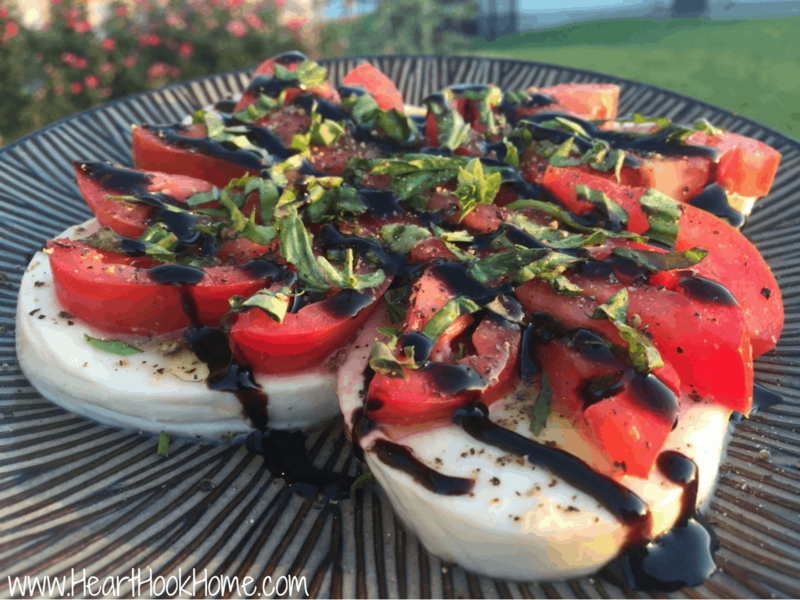 Mix the two together and splash balsamic vinegar and olive oil, a little salt and pepper and give it a good stir. Chop the basil and set aside, you’ll use this as a garnish. When both sides of eggplant are golden brown, remove from oil and place on paper towel to soak up excess moisture. 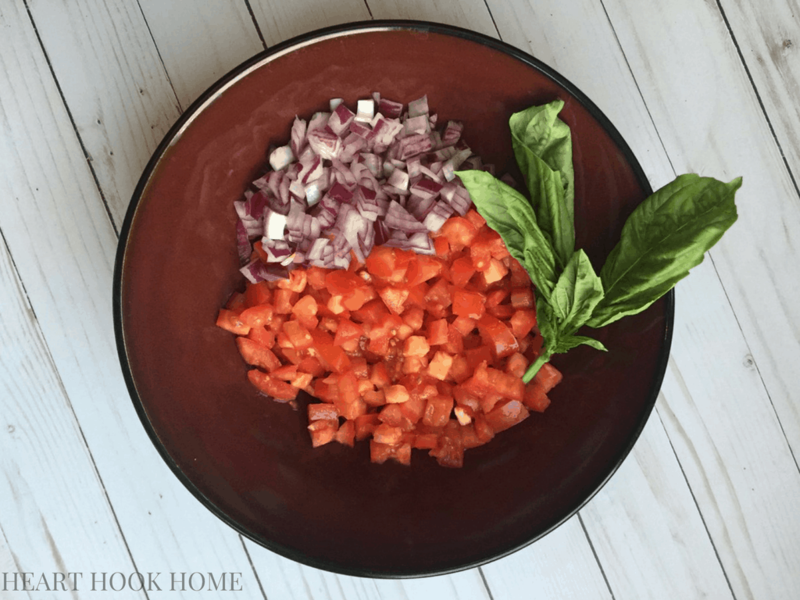 Place on a plate and top with tomato onion mixture. 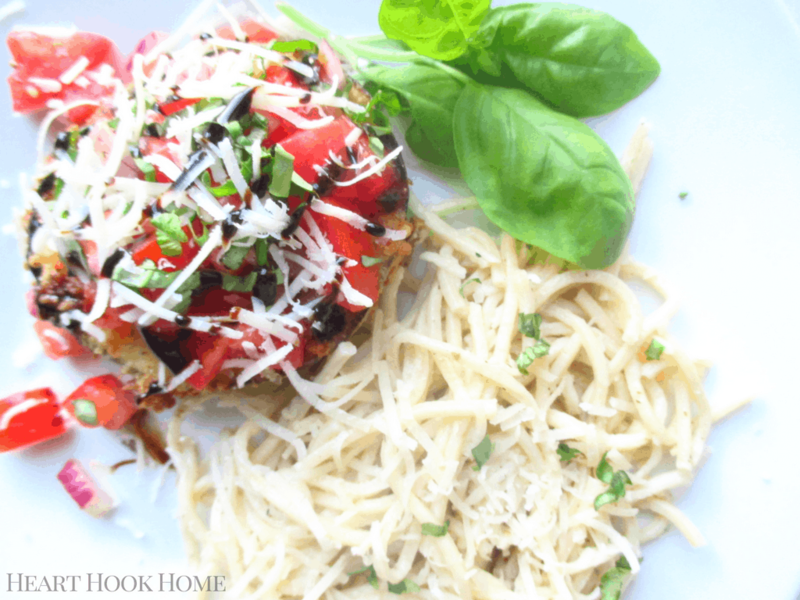 Add basil and balsamic glaze and fresh Parmesan cheese. There now, wasn’t that easy? And delicious! 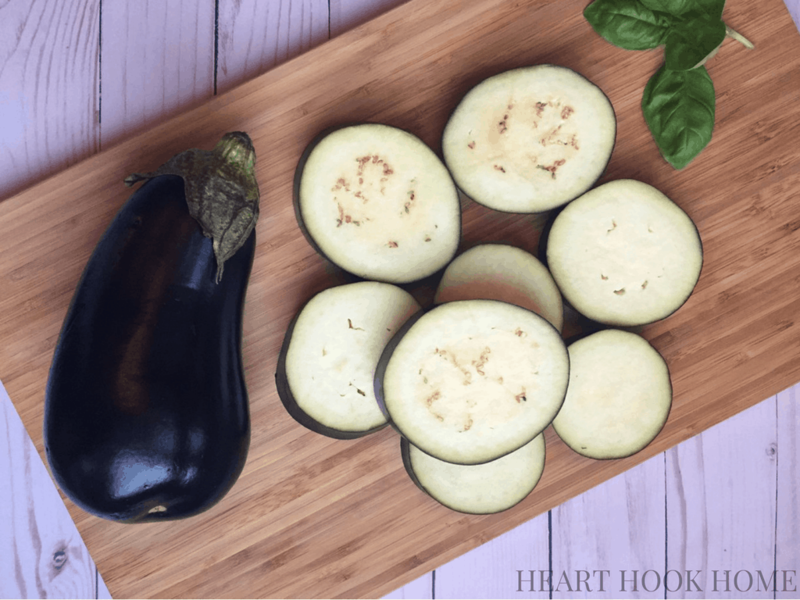 Slice your eggplant into 1/2″ slices while heating up your cooking oil.